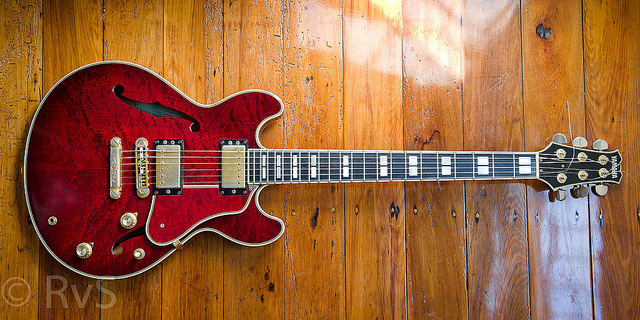 The SAS is a smaller bodied version of the Superaxe similar to a Gibson 336 or 339. As far as I can ascertain there are four models three released in 1988 to be superceeded by one model around the end of 1991. The first three released in November 1988 are the SAS1 the SAS 11 and the SAS T the last one being a signature model for Koji Tamaki (safety zone). None of these models were made for the western market all are domestic only. Control 1 vol 1 tone coil tap 1 vol 1 tone coil tap 2 vol 2 tone. The construction of the SAS 1 was different depending on the colour. The Antique Sunburst was Kirutiddo Mahogany and Birch with a Mahogany neck and the other two colours are Birdseye Maple and Birch, all have an Alder Block. The 1 was a higher spec model than the 11 reflected in the release prices, which were 139,000 yen and 91,000 yen respectively. The T was released at 167,000 yen. I have however never seen a T or even a picture of one so have no image to post. 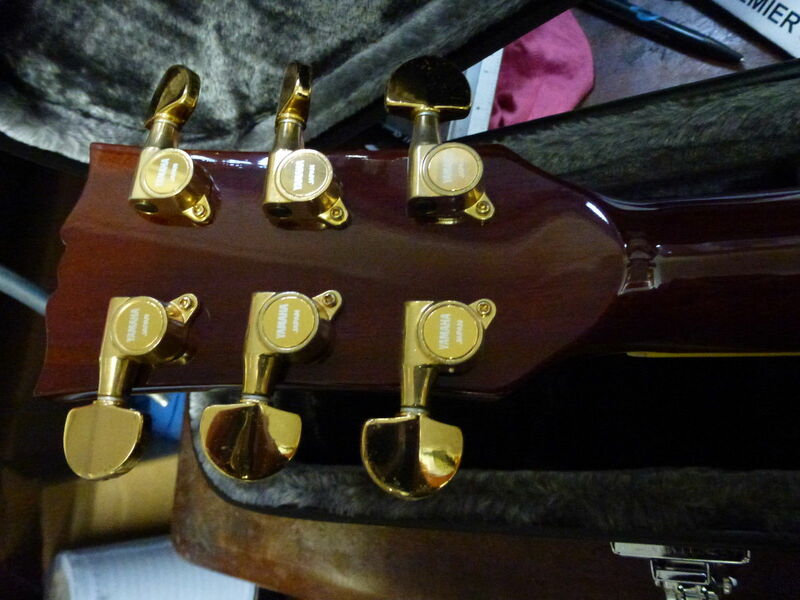 Perhaps the easiest way to tell the 1 and 11 apart is the fretboard inlays, see pictures. Update 9th April 2016 Thanks to Buzzard from the Yamaha forum I now have some pictures of the SAS T so here is what it looks like. Thanks Peter. 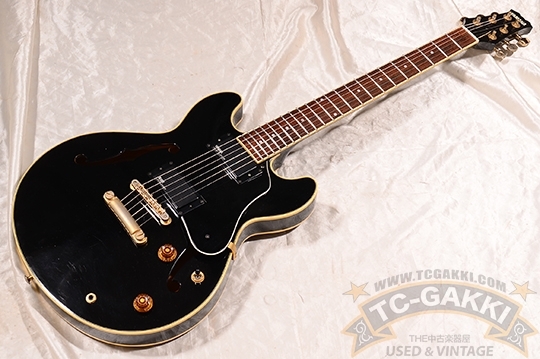 In late 1991 or early 1992 the SAS1500 replaced all previous models, the 1500 is I think a stunning looking guitar but I haven't ever had the chance to play one. 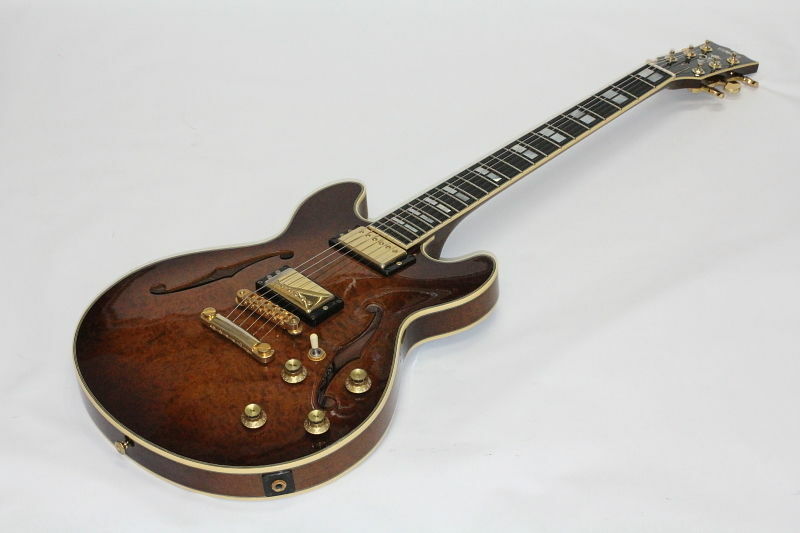 The one pictured below is a 1992 sold on Ebay in April 2016 for 650 GBP and is missing it's brown pickguard. 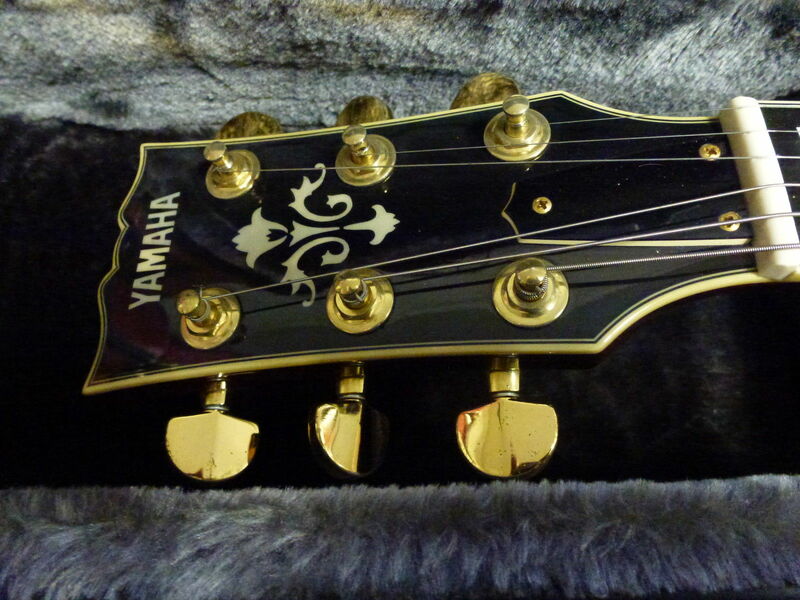 I have since been contacted by the new owner of this guitar who has joined the Yamaha forum, more information can be found on the forum, see my links page. The SAS-1500 has an arched quilted Mahogany and Birch body with a Mahogany and Spruce center block. 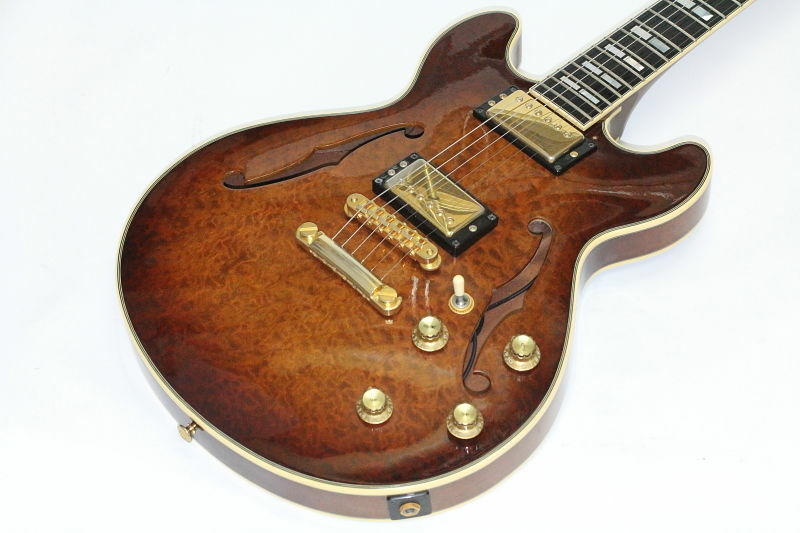 It is fitted with a pair of custom-wound Yamaha SAH-SA 11g Alnico V USA humbuckers controlled by 2 volume 2 tone and coil tap.It has gold hardware, and a Mahogany neck with ebony fretboard. Similar general specs to the earlier SAS models. It only appears to have been made in Antique Violin Sunburst. It was available in 2001 but not in 2005 so ceased sometime in the early 2000s. A 2016 Japanese catalogue is available on Yamaha's Japanese site and the SAS 1500 has mysteriously reappeared as a current model.